NB Series SLIM workstations eliminate unnecessary foot travel and paperwork. 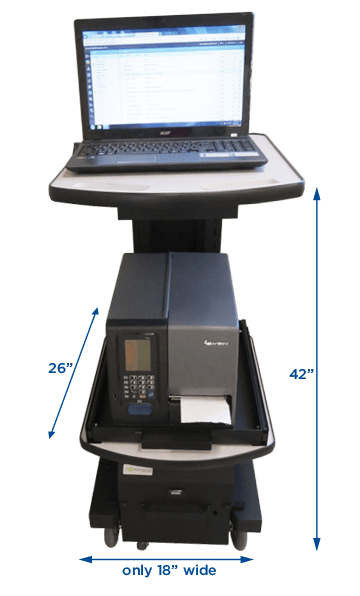 Instead of walking back and forth from a deskbound computer to printers and other devices used in tasks such as inventory management, process control, on-demand label printing, product testing, order picking, cross-docking, weighing, scanning, etc., all necessary equipment can be brought to where the work is taking place. An operator can have real-time access to WMS, ERP, and automated data collection.